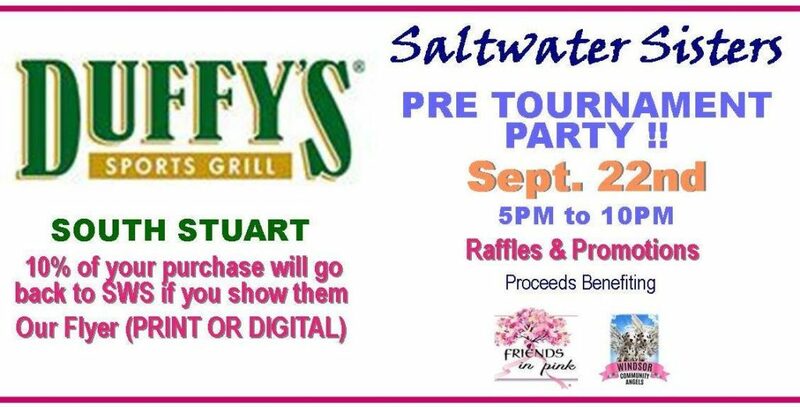 Saltwater Sisters will be at Duffy’s South for a Pre-Tournament Party and Duffy’s will donate back 10% of your purchase if you PRESENT OUR FLYER in print or digital to your server. Drinks are 2-4-1 all evening. Win a chance on our Club Precendent Golf Cart drawing on October 14th and register to fish the Saltwater Sisters Lady Angler Tournament. Visit www.SaltwaterSisters.com for more information.